Cleaning the lint out of your dryer is something particularly important. As you may know, this is highly flammable and if something malfunctions even once, this could lead to a serious house fire. In fact, a large percentage of the house fires are usually caused because of malfunction appliances and the dryer is one of the leaders in the chart. As such, it is highly important to make sure that you take perfect care of your dryer. Cleaning the lint regularly is the only way to ensure that everything is handled as per the highest industry standards. So, below you will find a few tips that might help you out significantly. This is important for those machines which have their lint filters on the top. You can use a regular wrench in order to remove the screws which are located right under the filter. After that, you can easily jerk the top a bit forward and release it completely in order to take a look at what’s underneath. You should also remove the front panel as well. This is also easily done by getting through the bolts with a basic wrench. Lint is going to be everywhere, especially if you haven’t cleaned your dryer for a longer period of time. This alone is one of the most significant issues that people fail to take into account. Now, in order to clean it properly, you can use your vacuum cleaner. Lint is dry and lightweight so it won’t cause any issues. However, you should also go ahead and reach further within the spaces with a brush. Pull the lint off as you do so in order to make it accessible for your vacuum cleaner. Check out the filters and make sure that they are also properly replaced. This is basically the entire procedure. Once you are through, all you have to do is put the dryer back together as it was. One important note that should be mentioned is that you need to plug the machine off before you start performing any types of tasks. You should always make sure that your safety is your number one priorities. The truth is that built-up lint dryer cabinets are the cause of over 15,000 fires every single year throughout the entire country. The lint can get easily ignited by any of the numerous heating elements, sparks or gas burners and cause a massive disaster. That’s why you want to ensure that you handle it properly and as per the highest standards. This is going to guarantee the overall safety of your entire home and everyone in it. 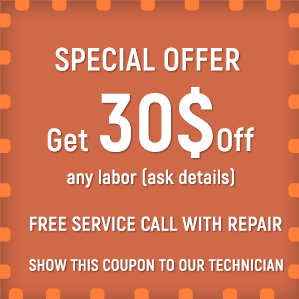 If you are unable to remove the lint properly, it is best to call in the appliance repair technicians in all San Diego County. When the technician arrives, they ensure that they check the other parts of the dryer and let you know if anything is amiss. 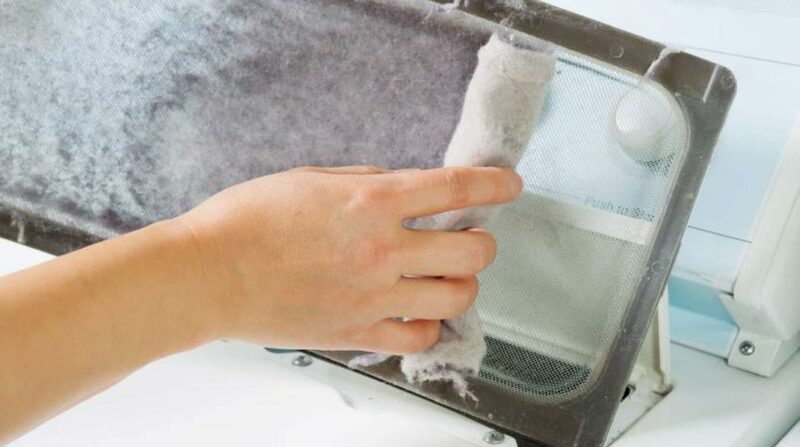 Lint removal is one of the most essential aspect of keeping the dryer in proper condition. Does Your Washer Stuck On One Cycle? Let’s Try to Fix It!